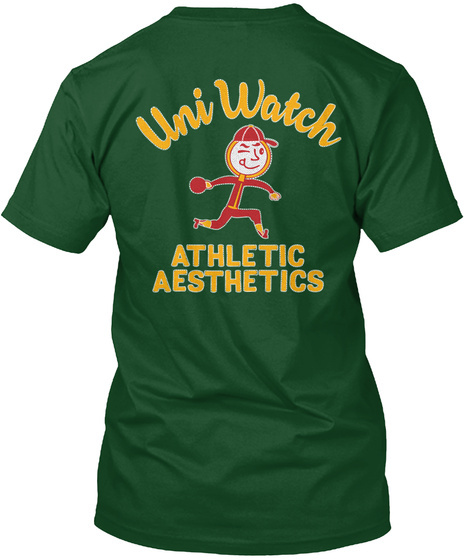 If Uni Watch had its own bowling team, what would it be called? The Athletic Aesthetics, of course! That's the concept behind our latest limited-edition shirt, designed by the great Scott M.X. Turner. A simple chain-stitched "Uni Watch" on the front-left chest, and a spectacular design on the back, complete with faux chain-stitching! Not as good as a real bowling shirt, but the next best thing. Available in a wide range of colors.